Premier Technical Services Group PLC (PTSG) has risen to a significant challenge at the Balmoral Hotel in Edinburgh. The Rocco Forte-owned hotel required emergency repairs after the building was declared unsafe. The Pendrich Height Services rope access team quickly moved in to remove, repair and replace stonework to the elevation but the nature of the historic building means that any work at height is a complex operation. Pendrich Height Services Limited was acquired by PTSG in June 2015. The landmark hotel is located at the East end of Princes Street, the main shopping street beneath the North and East elevations with the West side connected to a shopping Mall and the south side to the Waverley train station. 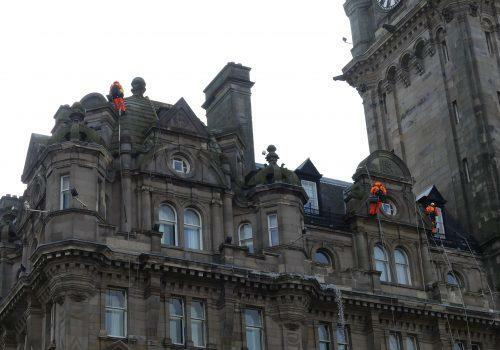 The work initially resulted in the closure of Princes Street as Pendrich mobilised an eight-man rope access team. Overhead protection scaffolding tunnels were put in place at the north and east side of the hotel and a separate tunnel was constructed to enable pedestrian access. Restricted access for the public to the adjacent Edinburgh Waverley Station and Waverley Mall was also addressed. The height and location of the hotel results in wind and weather challenges to working at height. Recent heavy and drifting snow – a result of the so-called ‘beast from the East’ – has also had an impact on work at the site. The Pendrich team also had to work night shifts to lift and build the loose and dangerous stonework. The Pendrich team has worked closely with Balmoral Hotel, Network Rail, the City of Edinburgh Council and the owners of the Waverley Mall shopping centre to ensure the reduce the impact of the work on the public and road and rail users. Mark Perfect Jr, Contract Manager for the project, is based in one of the rooms at the Balmoral Hotel in order to oversee the safe and efficient delivery of the works. Opened on October 15th 1902, the Balmoral Hotel was originally known as the North British. Acclaimed as one of the great railway hotels, it originally boasted 300 bedrooms and 52 bathrooms. It was later renamed The Balmoral — which means “majestic dwelling” in Gaelic. Pendrich’s steeplejack and rope access teams undertake a range of high-level repair and maintenance works at many types of structure across the UK and internationally. 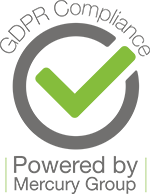 Engineers are trained and qualified to the highest safety standards, and utilise specialist steeplejack and rope access techniques to perform work on high-level and difficult to access structures.